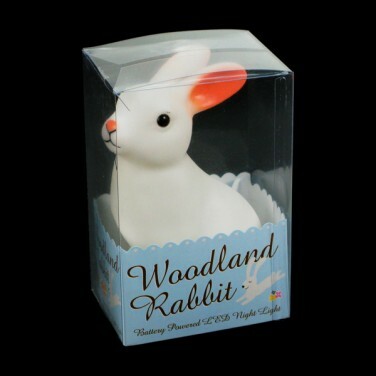 A cute and friendly night time friend, the Woodland Rabbit LED Night Light gives the reassurance and comfort of light at night with a warm white glow. 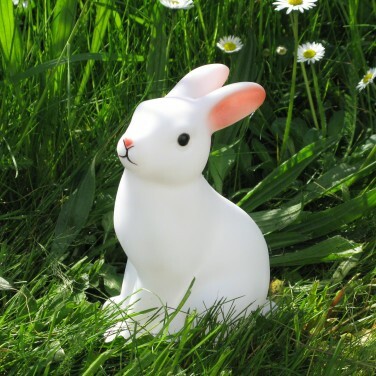 Battery operated, this delightful little bunny will sit happily in your child's room, and with a robust plastic design it'll hold up to hugs and play at bedtime. 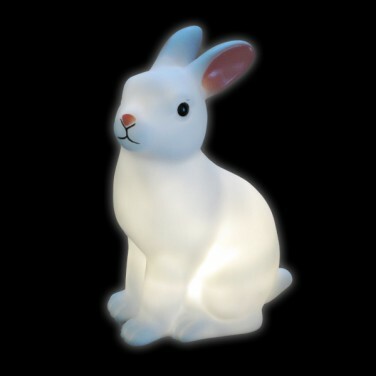 Perfect for adding a little character to kid's rooms this fabulous little night light is lit by LED's and so remains cool to the touch.